Visakhapatnam: Demanding an abortion to a woman who was allegedly forced into surrogacy, her relatives and activists protested in front of Padmasri Hospital and IVF centre as well as King George Hospital (KGH) and Fourth Town Police Station. The activists alleged the Padmasri hospital management had deceived the woman by performing artificial insemination instead of fertilising the egg outside the womb. The case involves a 32-year-old mother of three children, who was undergoing through severe monetary distress, and was allegedly lured by a surrogacy mediator identified as one K Usha, with a promise of a “handsome compensation” if she played the role of a surrogate mother, according to a police statement. The woman alleged that Usha had promised to pay Rs 20,000 for the donation of eggs and told her that she needed to stay in the hospital for around 30 days. It was alleged that the woman was then subjected to artificial insemination. The doctor later informed the woman about the artificial insemination and offered Rs 3 lakh, reports TOI. She rejected their offer and demanded that they should discharge her immediately. “I was asked to carry the child and promised to pay the money after delivery, ” she added. The woman alleged that the hospital staff confined her for two weeks in the hospital and snatched her mobile phone. She was given her phone back only after the procedure. “I contacted Usha and told her about the cheating. The doctor asked me to carry the child and gave me Rs 5000 when I was crying,” the woman claimed in her complaint. As per her account, the woman fled from the hospital on May 6 and met her husband who took her to the King George Hospital (KGH), where the woman demanded that her pregnancy be terminated. 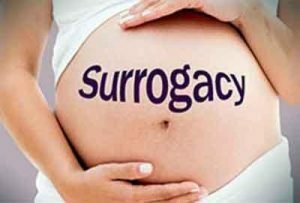 The husband claimed that his wife had undergone tubectomy and the doctors had reversed the procedure for surrogacy. Along with her mother and other relatives, she met the women’s organisations and lodged a complaint with Fourth Town Police Station on May 21. The Progressive Organisation of Women (POW) state secretary P Lakshmi alleged that the woman was deceived by the hospital management. “The victim told us that four surrogate mothers are confined in the hospital. As many as 18 women had acted as surrogate mothers earlier,” she told TOI while demanding the arrest of the doctor from the authorities. IV Town police station inspector B Tirumala Rao confirmed that a case has been registered against the hospital and further investigation is on. However, Dr Sudha Padmasri, the owner of the 100 bedded hospital in Akkayyapalem, affirmed to the media that the hospital was registered with the Indian Council of Medical Research (ICMR) for assisted reproduction technique. “I have obtained all necessary permissions from local authorities. I have not done anything illegal. The woman signed a legal document for surrogacy. The agreement was between the donor and the infertile woman. I am only a doctor,” she claimed. The doctor told TOI that as the pregnancy was successful with twin foetuses, the woman started demanding more money. When contacted DMHO R Ramesh said that Padmasri IVF Centre is having a valid licence and he is not aware of the issue. “I will inquire into the incident and take appropriate action,” he told The Hans India.